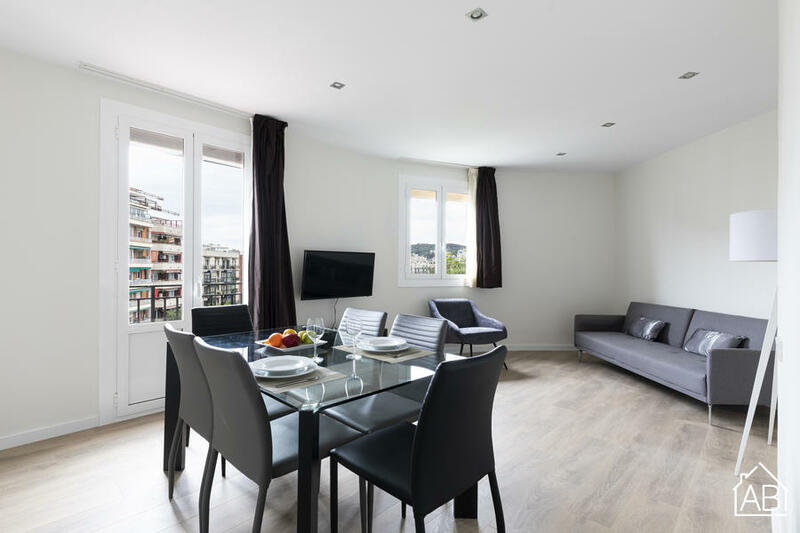 This comfortable 3 bedroom holiday apartment in Barcelona, situated in Eixample, provides an ideal location for your trip to the Catalan capital. This neighborhood is a fantastic choice for those who seek a comfortable place to call home during their time in the city, as this ´barrio´ is renowned for the delicious cuisine, fantastic shopping areas and some impressive architecture. The apartment can be found close to the Plaça d´Espanya and the Fira de Montjuïc. The living room has a large corner sofa and TV, perfect for relaxing after a day of exploring the city. Internet is also included. There are three bedrooms, each with single beds, plus 2 bathrooms in this apartment. It can accommodate up to 6 people in total. This apartment in Eixample has all the requirements for an enjoyable holiday in Barcelona, any time of the year!